Get booked. Book someone. Share the wealth. COVIVI is a member-owned on-demand service booking platform, designed to match small businesses and freelance workers with customers who need their services, in a cooperative environment. COVIVI aims to be a space for people without computer experience, and simplifies the business process so that any responsible person can use it. COVIVI is designed to be “hyperlocal everywhere”, meaning the platform connects participating local businesses and customers to any other member in their locale, and is designed to do this in communities across the region and the nation. Click here to view and register in our BETA stage marketplace. Start working. Start finding good people to get your stuff done! By virtue of member ownership, COVIVI creates wealth for members. The more business you do, or the more business you buy from worker-members as a customer-member, the more your member share grows. 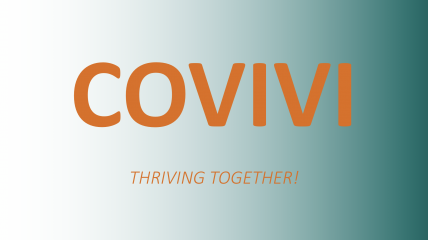 COVIVI provides a venue for hard-to-find workers, businesses, and cooperatives to gain visibility in the marketplace. These are typically businesses and people with little resources to spare for marketing efforts. It also makes the local economy stronger for everyone. Take our survey to help us improve our service.